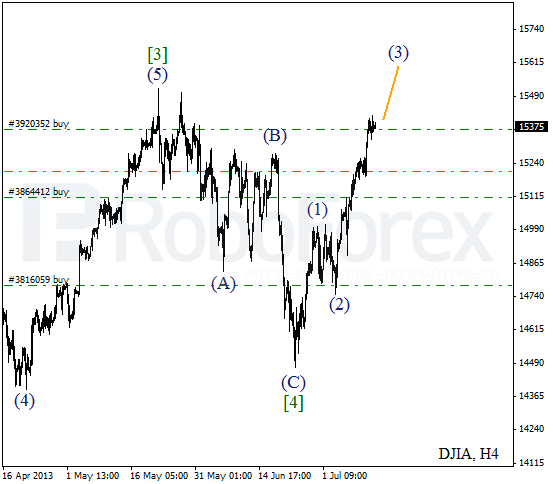 The Index continues moving upwards and forming an extension inside wave (3). 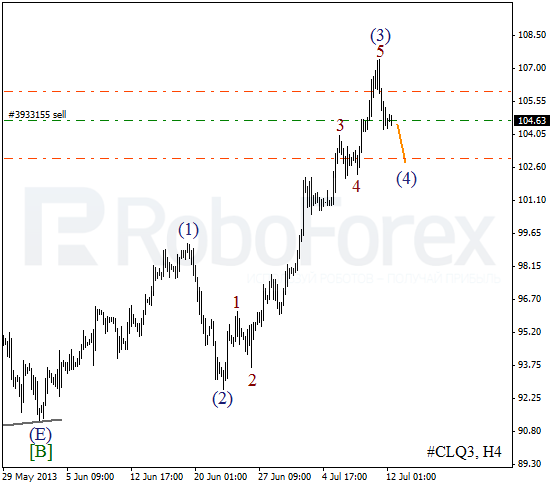 Earlier the price completed zigzag pattern inside the fourth wave. Most likely, the next bullish wave will break the historic maximum. 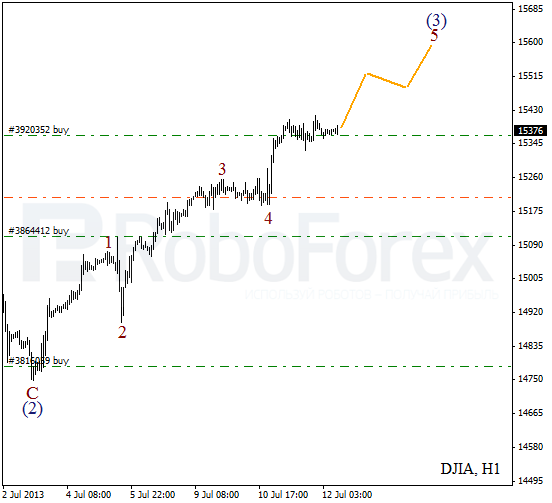 At the H1 chart, the market is forming the fifth wave inside wave (3), which may be extended. During a correction, I opened one more buy order. I’ll move the stops higher as soon as the market start moving upwards. Just as we expected, Oil started a correction. It looks like right now the price is forming the fourth wave. Yesterday my Take Profit worked, but during a local correction I’ve opened a new order. We can’t exclude a possibility that wave (4) may take the form of zigzag pattern. 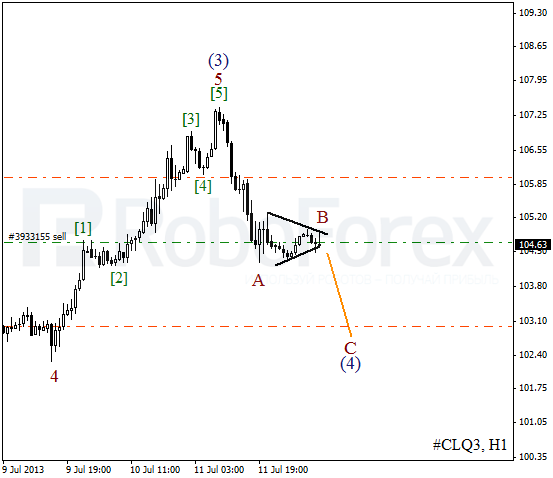 On the minor wave level, Oil completed horizontal triangle pattern inside wave B. There is a possibility that during Friday the instrument may start a new descending movement inside wave C of (4).